USA 1985 | 16mm 7min. This comedy classic short, shown worldwide, marked the debut of director/screenwriter Ari Taub, and captured the spirit of low budget filmmaking in New York City. 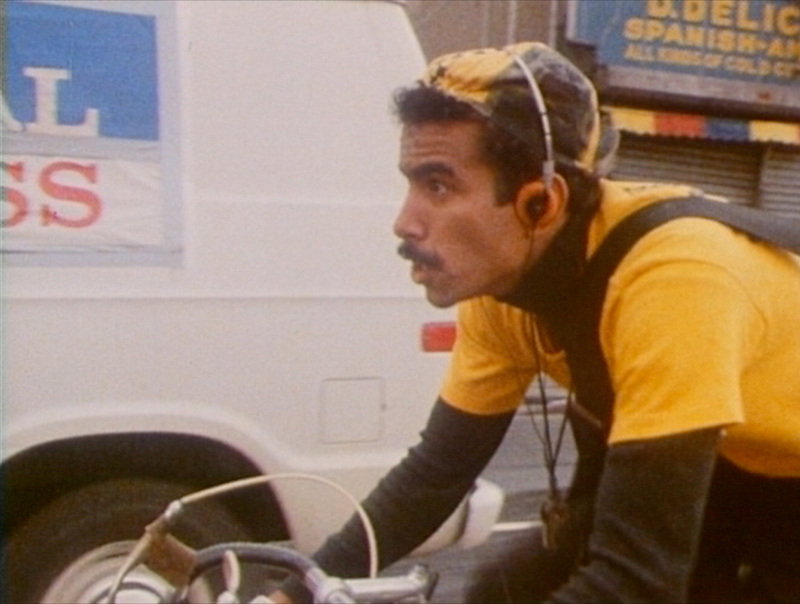 Jimmy, a bicycle messenger from the Albatross Courier Company, takes us through the streets and boroughs of New York to deliver a package “on time”. Braving the perilous city streets, there’s nothing Jimmy can’t handle. . . or is there?